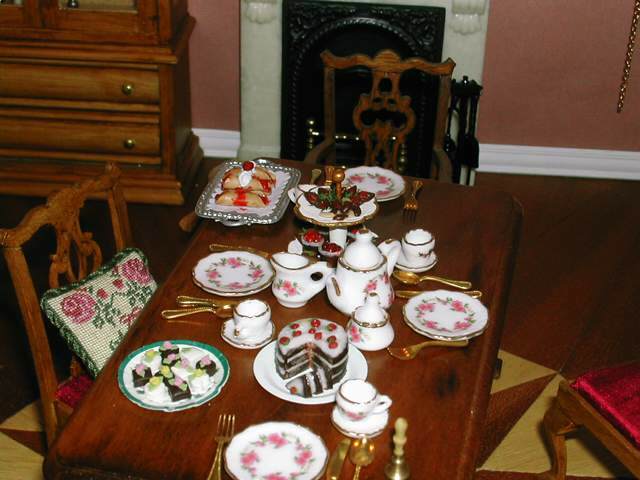 Time for afternoon tea. The cupboard left is from Het Houthoekje. 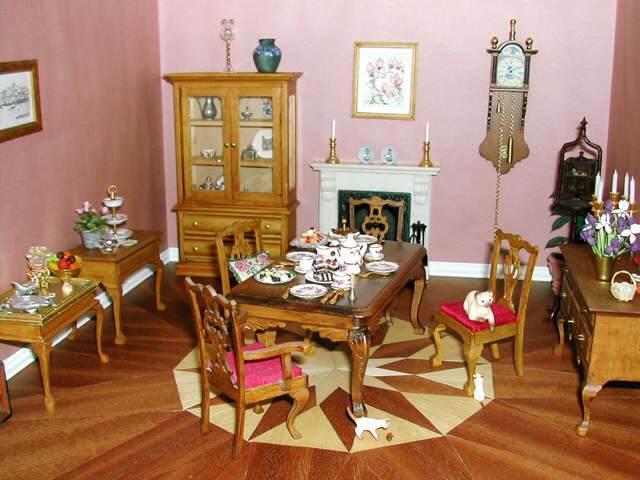 all other furniture, except the table, is from Mini Mundus kits. the bird cage on the right is from Bespaq, a gift from my husband. 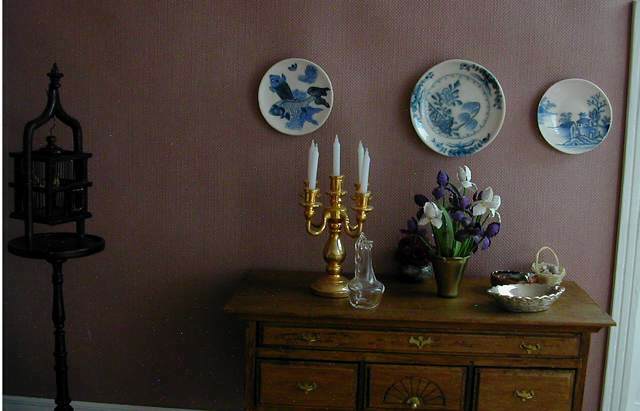 The watercolour of the magnolia on the back wall is by Adri Verrijp, specially painted for me because I love those flowers. Throughout the house there are more paintings made by Adri. 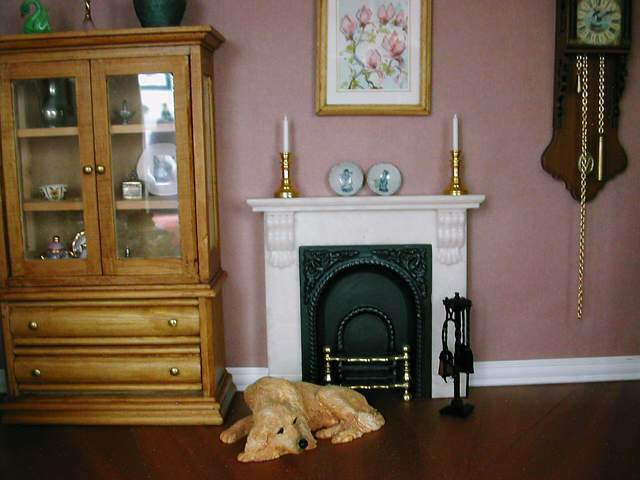 these littel shelves are on the left. It was made by a lady silversmith. 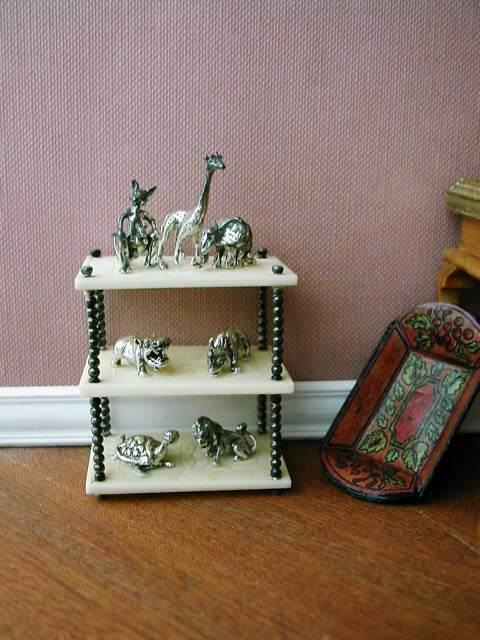 All animals are silver, the shelves are old card fiches.